Is it Tuesday already? I have such a hard time getting back into the swing of things after snow days throw me off! Frances' class just celebrated Valentine's day yesterday at school and Ben's class has postponed their shindig until this Thursday. That's probably going to confuse me even more! It's Tuesday and this week we are celebrating our favorite blogs! This sounded like an awesome way to keep the spirit of love from Valentine's Day alive. (And is now especially pertinent, since apparently we're still celebrating!) 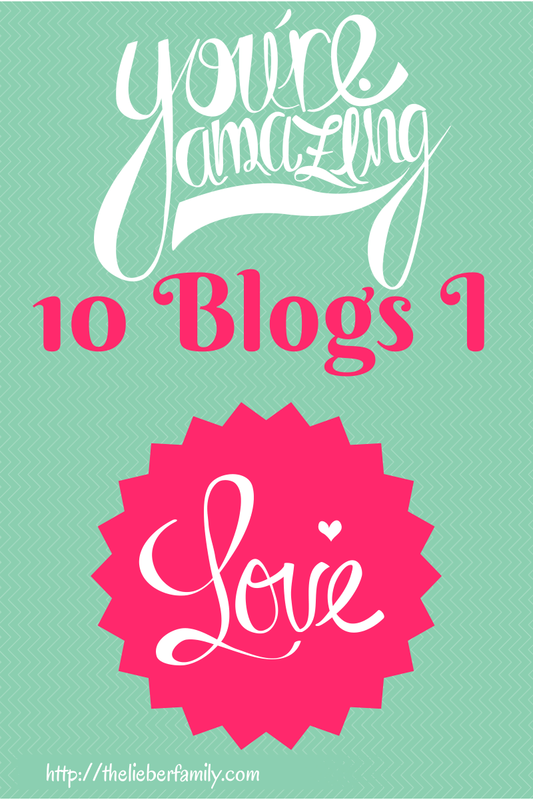 The problem is that when I sit down to think of 10 blogs I love, I get overwhelmed. There are so many that I love reading!! And I can't pick them all!! 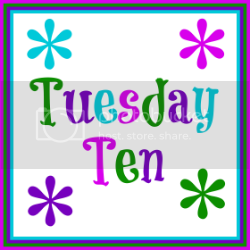 But Lisa said I had to, so with a little bit of arm twisting...here are my Top 10 Favorite Blogs. You should definitely check them out. Tell them I sent you. I'm not sure what that would do, but I've always wanted someone to tell someone else I sent them. Also, I've sorted them into three categories. Some of them overlap, but I put them where they fit best for me. The Bloggess--Jenny is an irreverant, cat loving, antique finding, husband annoying joy of a woman. She blogs about adventures that have come her way in her own sarcastic way. If you've never read her blog before, you have to start with the story of Beyonce, the big metal chicken. The Science of Parenthood--Norine and Jessica have paired up to explain the enigmas of parenting through the use of quasi scientific and mathematical principles...and some awesome pictures. If you've ever tried to figure out why your kid always gets sick the night before you have a big presentation at work or why your kid knows all the words to the Caillou theme song but can't remember where his shoes are , this is the blog for you! Momastery--Glennon has dedicated her blog to the idea that small things can make big differences. She talks about life and parenting in a real way and has put together some amazing "love flash mobs" to raise money for some incredible causes. Tamara Camera--Tamara is a super taster; of life and food. She takes amazing pictures and then presents her thoughts and words to you in such a way that you can't help but want to go deeper in conversation with her about them. She's real, she's down to earth and she's brave! Surviving Our Blessings --Abbey is a friend of mine from church. She has three little ones and she blogs about life and Catholicism. Her posts always stir up something within me and help me to reflect on my own faith life. Mom Cafe--Chris has away of writing that brings holiness to motherhood and parenting. I like to think that I am pretty good at recognizing God at work all around me, but Chris definitely has me beat. Her posts are inspiring and good and true. Another Jennifer--Want to learn about blogging, vlogging, philanthropy or left-handedness? Jennifer is your go to gal! Plus, her resolution this year is to be awesome every day and she's blowing that out of the water! A Dish of Daily Life--Almost any time I have had a question about social media, I have gone to Michelle and she has helped me out. She's also got great tips for taking pictures, storing pictures and printing pictures!! The SITS girls--I probably would not have been able to make all the strides that I have made in the past 18 months without this blog. The SITS girls are two women who have teamed up to take the blogging world by storm. They have fantastic tutorials on everything to do with blogging, but the best part is really the relationship (or "tribe") building that they do. What about your favorite blogs? 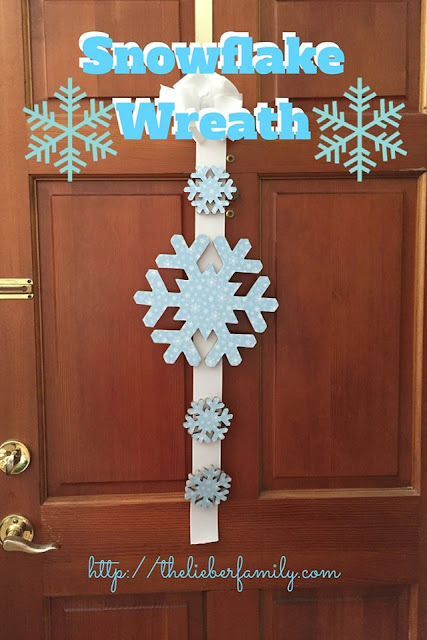 You can make a list of ten and linkup with us, or just add their links in the comments below. Come link up again next Tuesday, February 25, when the topic will be 10 Things That Happen on a Perfect Day!